Clean lines on this 'Paula' handbag make it make it the accessory you'll always reach for. 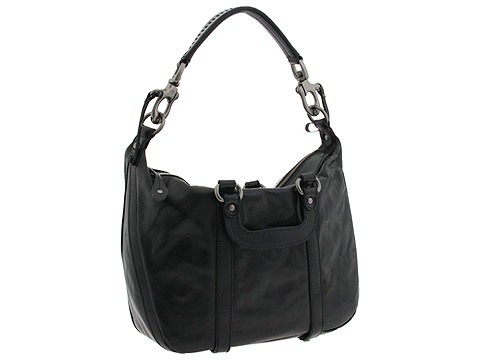 Satchel style shoulder bag made of smooth leather. Holds your wallet, sunglasses, personal technology and a copy of your favorite magazine. Dimensions: 12 wide across bottom, 16 1/2 wide across center, 16 1/2 wide across top x 5 deep x 12 high. 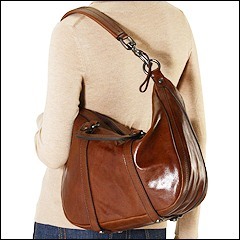 Single shoulder strap and dual handles. Shoulder drop: 7. Handle drop: 1. Platform bottom with feet to protect bag when set down. Top zip closure. Interior lining with a back wall zip pocket and multifunctional slip pockets.